10 g 30 g 1 lb. 5 lb. 50 lb. $1.29 to $349.99 & FREE Shipping on orders over $59 $35. 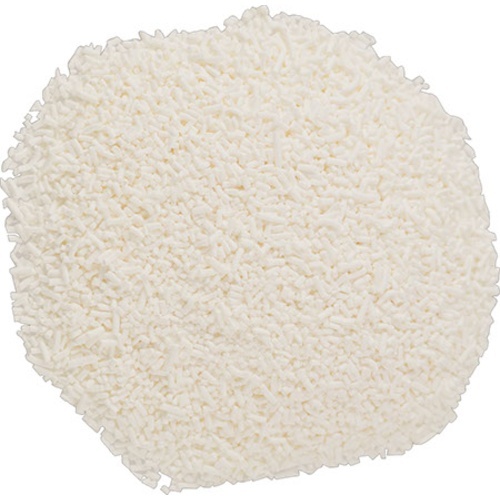 Sorbistat K, Potassium Sorbate, ensures against renewed fermentation in wine when residual sugar is added post the initial ferment. Add at the rate of .5 to .75 grams per gallon (125-200ppm) in conjunction with .3 grams of meta-bisulphite (50ppm) per gallon. Use the higher end of the range (200 ppm) as the wine's pH approaches or exceeds 3.5 or when the alcohol conent of the wine is below 10%. Note: Will not stop an active fermentation. Potassium sorbate should not be used if the wine underwent an ML fermentation because sorbic acid (in the potassium sorbate) will react with lactic bacteria to produce a "geranium" smelling off-flavor. To stop fermentation so I can back-sweeten a cider. To stabilize the must after fermentation. I found this helpful: The live yeast which is present at the addition of the sorbate & metabisulfite will react with the new addition of sugar, but will not be able to reproduce new yeast. Therefore, you can still have activity. Also, the cider, if fresh/not processed, can bring in it's own live wild yeast. I made a mead for my wife and after the fermentation was done (2 weeks with no gravity change, then another month for good measure) I added the recommended levels of this in conjunction with what I believe were the proper levels of Potassium Metabisulfite. I then split the batch and bottled half of the mead straight up and added apple cider in the other half of the bottles. I was under the impression that this would prevent any residual yeast from going after the new sugars I added post fermentation. The plain mead bottles taste just the same months later but the yeast went to town on the cyzer bottles so they aren't as sweet as I wanted. It could be I got some measurements wrong but I'm fairly certain I did it right. Perhaps I'm misunderstanding what these chemicals together were supposed to do. Either way adding this and the Potassium Metabisulfite didn't prevent another fermentation with added sugars as I was hoping. If the product hadn't have worked / prevented further fermentation, don't you think the bottles you added the cider to would have exploded? From reading the post it sounds like they did sparkle up. I have had wine unintentionally sparkle without exploding the bottles. It really just depends on the quality of bottle, cork, storage conditions and just exactly how much sugars were available to the active yeast cells. I find every time we use a product from a tree; maple syrup, juice, fruit ... we get a lot of sparkle and many exploded bottles. The only time I did not have this happen is when we used the Potassium Metabisulfite and the Potassium Sorbate. Am trying to cold crash with many rackings to alleviate this issue. I don't use any sulfites or nitrates in my diet because of arthritis.